Theseus wants to show his father, the king, his bravery. He sets off to stop his people being eaten by the terrible creature called the Minotaur. 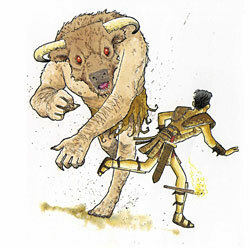 Can Theseus defeat the monster and escape from it's terrible labyrinth?